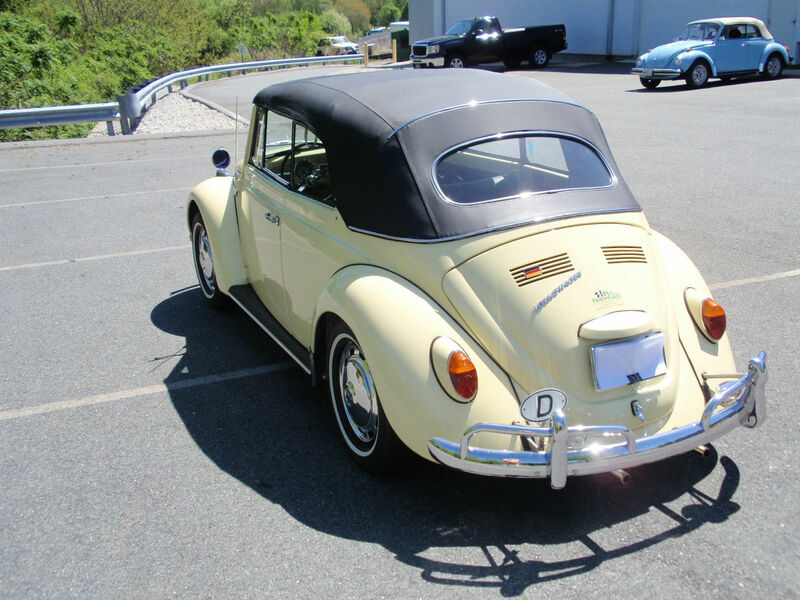 Just listed here at 1967beetle.com, this L19 Yukon Yellow ’67 Vert is a rare bird for sure. Info from the seller, who appears to be the original owner. 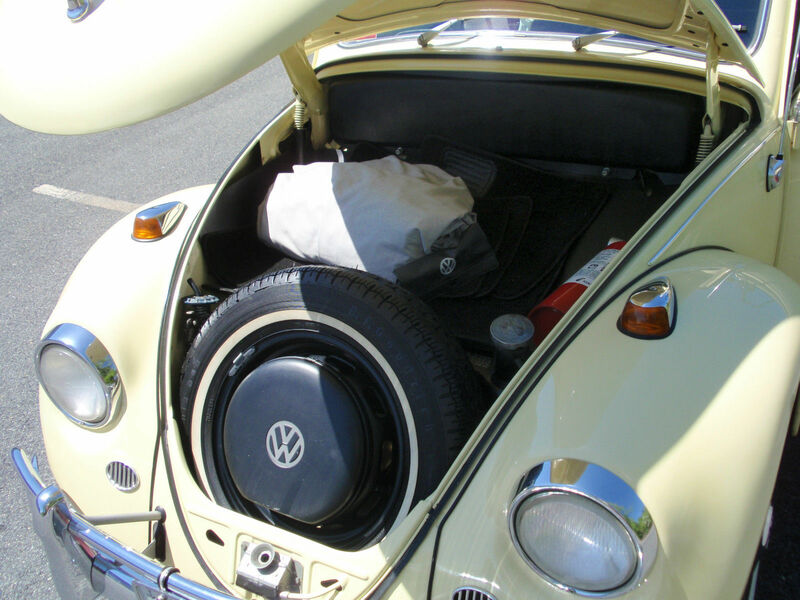 If you’re a Beetle fan, you know that 67 is a very collectible year – especially convertibles which don’t come up all that often. I bought this car new in December of 1966. It was restored about 5-years ago, and now looks and drives like the day I bought it. This was the last year of the good-looking bumpers, the only year with chrome back-up lights and the last year for the chrome trim on the top. The car is completely stock with the exception of the engine which has 1600cc barrels instead of the 1500cc originals and Pertronic ignition (a Godsend); I figure it yields about 4 more horsepower. Everything works, but the radio reception is bad, but will be fixed for new owner. Many spare parts as well. What do you guys think? Being the purist I am, I’m still finding it hard to find anything wrong with this gem. Nice looking car; is this the one F40 had for sale last year? Nope. Org owner car. I thought the same. This is a beautiful car. 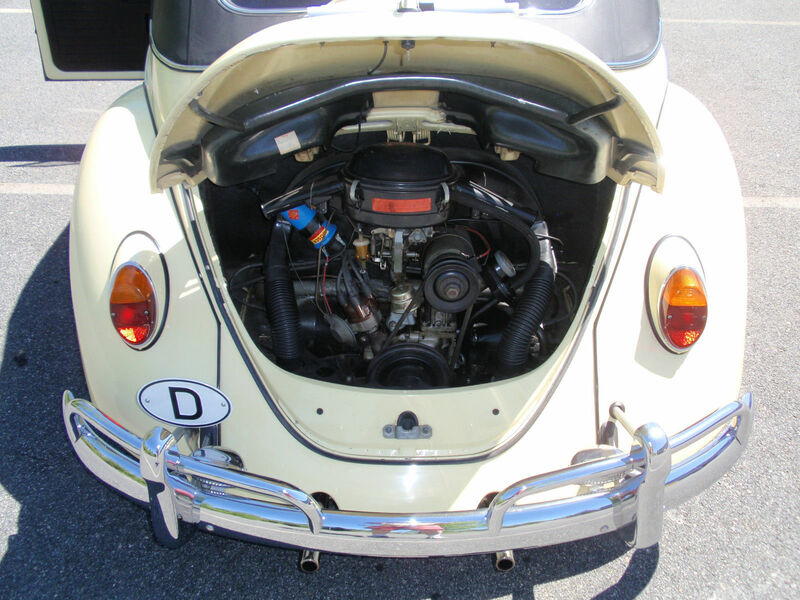 But I do notice a large number or beetle still using the fuel filter inline to the carb…. Even after all the warnings. One quick question about the tail lights ? Orange tops ? I’m just curious is all ?? Would be a nice addition to anyone lifestyle I think. The tail lights are the Euro version. Simple fix. Agreed. I’m not sure why people do that. For going back to 1966/1967 should have red/red taillight lens, amber top wasn’t legal in USA at the time. Should perhaps be only one red wire in the engine compartment, the generator one. Fuel pump is ifffy. The pre heating hoses are invisible, one could wonder what the breast plate looks like, maybe not enough holes? The heater hoses, look like maybe made of rubber type material. The blue coil is another iffy. Yes, shouldn’t be a fuel filter there, if in 1966/1967. Couldn’t see the valve setting sticker, however, if there is one and it states .006 then it ain’t of the era, to bring your engine back to that time it should be .004. For the more knowledgeable and or maybe more reference material, I pose a question. When did Yukon Yellow jump into the 67 line up? My VW Parts List/Book doesn’t show it, and for all the colored fender beadings and running board combinations, nary a color for Yukon Yellow. J. T. Garwood’s book doesn’t show it. 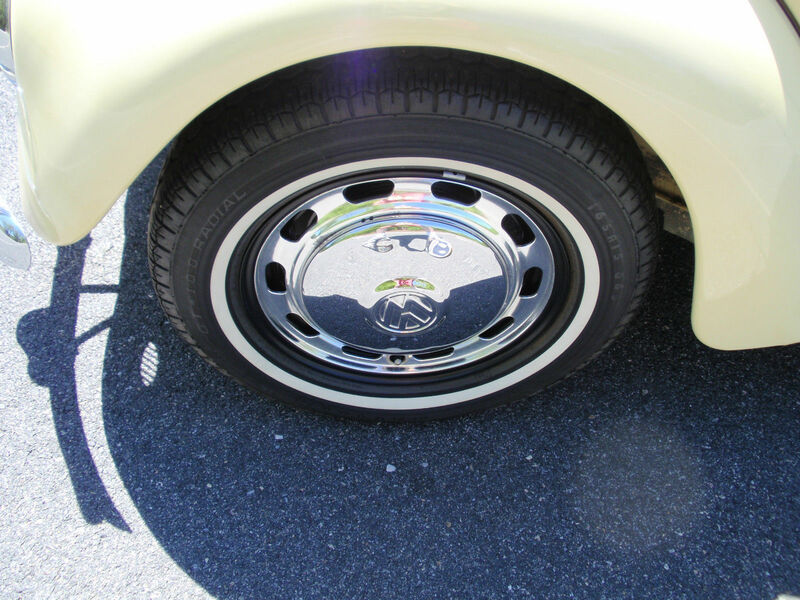 Samba does show convertible only-then further down in the all colors listing states for 1968/1969?? I see it is sold, so all is mute anyway. However clue me in please on the color. You are correct about the fuel pump and carb. I’ll let Jay chime in on the color combo. 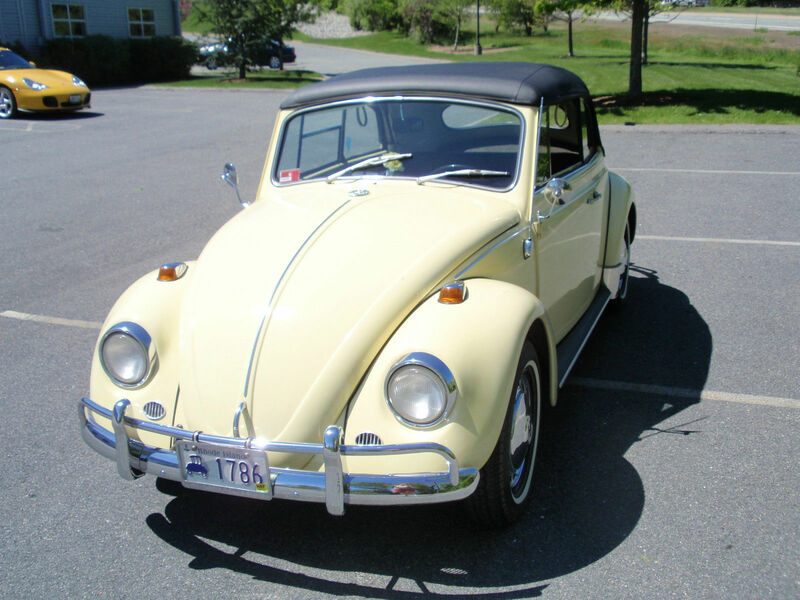 Yukon Yellow was only availble on the convertible for the 1967 Beetle for USA production. Don’t want to argue with Quinn, but I don’t see on eBay that this car is, in fact, SOLD. Just now, the listing reported over 9d left and one offer “declined”. Still “Buy It Now” for $22,500. Your points are valid. Jody said what needs to be said about the paint color. In fact, we discussed all of this at length some months ago and Jody and others provided information to show that Convertibles could be special-ordered in colors which did not usually come on the Convertibles. Convertibles weren’t built at the Wolfsburg plant but at Osnabruck–a ways from Wolfsburg. The yellow tail lights usually are referred to as “Euro”, and were an addition to cars by owners in later years. 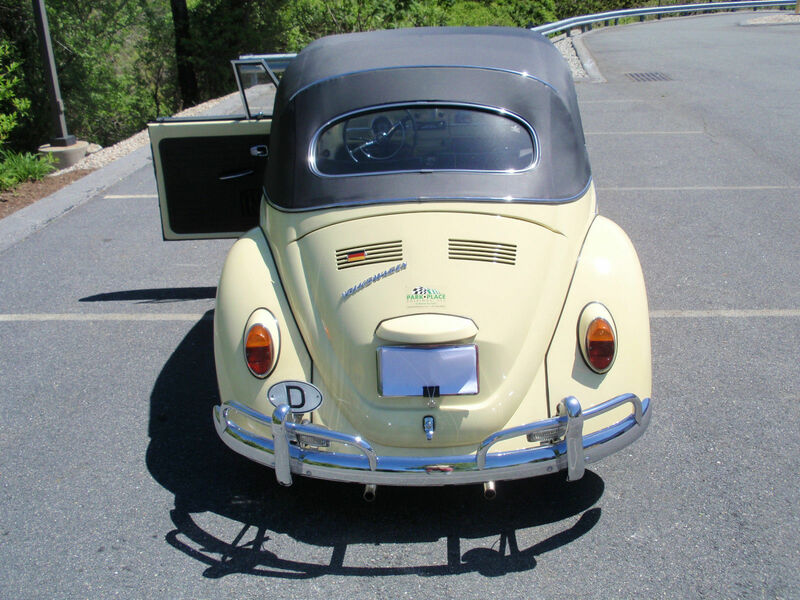 My ’68 Karmann Ghia has Hella amber-topped tail lights–it came to me that way. I know that it did not come to the USA like that. I’m with you on engine compartments and have discussed that somewhere recently. It’s puzzling that sellers put out cars at high prices but they fail to correct the engine compartments–or even to clean them. All of that said–this car had a lot going for it that rather over-shadowed the minor faults. Someone obviously saw this and jumped onto this car like a chicken on a June Bug! (a yellow Bug, at that!). Thanks for bringing these things to our combined attention, Quinn! Donna, it flashed or came across the eBay site momentarily that it was sold-As you say, it tisn’t. Richard, Eric invited interested parties to Think, so having owned once since 1966 I have a good idea about the vehicle. Mine is not up to snuff presently either-however I’m not advertising it for sale as restored 5 years ago-and if the opportunity existed, most likely many other things could be found amiss-wondering if it has SB12 headlamp rings? What’s the problem with the window winder handles?-the one I see on right side appears correct. I would say the emergency brake isn’t adjusted properly, should take about 4 clicks to hold it-certaintly not as much as in the image. You know, I too noticed the eBrake handle.. The window cranks look correct, as we sell NOS and they are the same. Iv read so many sites, and info its hard to remember where I got the wrong info on them. But I knew once I remembered to ask, I’d get it strait. 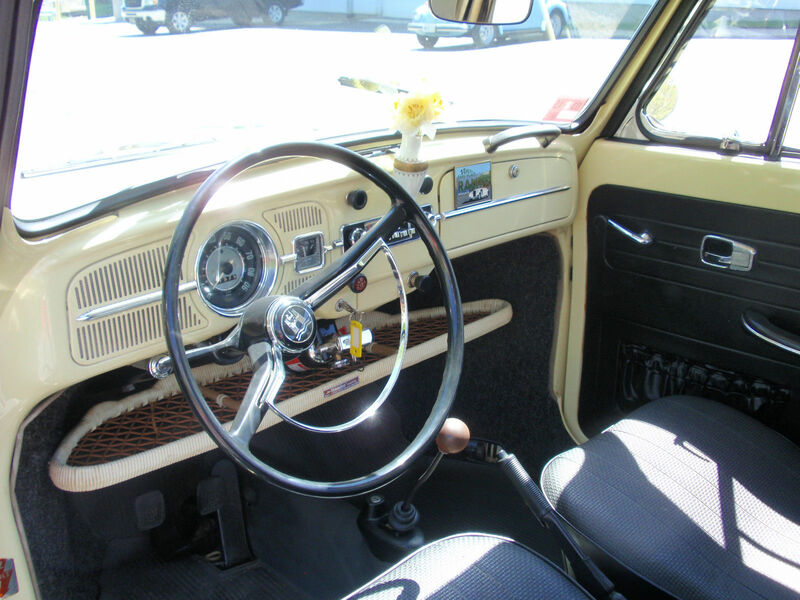 If it were not for 67beetle.com I’d have no idea what I was driving, so a huge thanks to all. Here are the NOS ’67 cranks we have, just so you can compare. Nice ‘vert, I live in RI how come I never saw this gem? I also spy a 79 ‘vert in the backround, my 79 will be for sale soon and I sold my Ghia yeaterday… time to get something new, lol. As long as people are picking his poor lill Ver to non original pieces, the window cranks are incorrect as well are they not ? As far as tail lights, and heat tubes and such, its a pretty easy fix to correct is it not ? I am just a junior VW guy, and iv a lot to learn. But as its a one owner, very rare Vert, and SO close to being all correct ? It is beautiful, and in my world of rusted and bent, modified beetles it deserves a tad bit of praise as a great investment. Over the years, and parts availability it’s a little tough to have everything exactly correct. Or am I way out to lunch ? Now now.. This car is gem, and we are not here to pick it apart. Yes, these small items are simple to replace. Black coils are no longer made unless NOS or restored, etc. Rust would be the bigger issue. Parts are parts. I would buy this car in a heartbeat. Me also. But are the window cranks replacements ? I’m sure both our 67 have the same chrome with black knobs. I thought I’d read that 67 had all plastic cranks on them ? Correct me if I’m wrong . It’s a pretty 67 Vert for sure. It would be nice to see under the front hood. 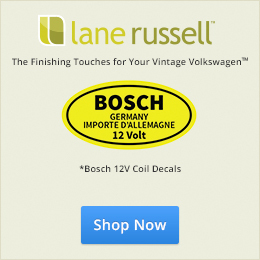 Was the electrical harness removed/replaced and it painted under the hood in the trunk area? 67’s are also known to rust below the brake fluid reservoir (mine was). Also, pictures of the frame head, pans, reinforcement rails, inside the fenders, etc.. Having restored a rusty 69 bug from the ground up, I learned very quickly where these convertibles rust. People have noted what’s wrong with the engine already. I wonder if it has the J-tubes to hook the missing pre-heat air hoses up to the air cleaner. Another concern to me is the engine lid rain tray has obvious paint over spray on it and the engine compartment doesn’t appear to be repainted. I’m not trying to nit pick this very nice convertible but at that price point, these details should be resolved prior to the sale. 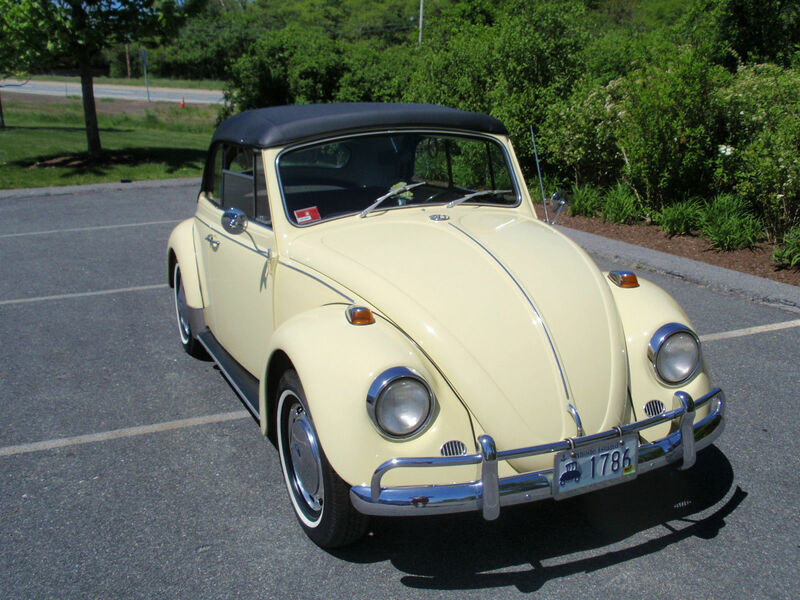 I will also say this- to restore an average 67 convertible bug (that’s not a rust bucket) would cost MUCH more than what this owner is asking for this bug. Good thoughts! 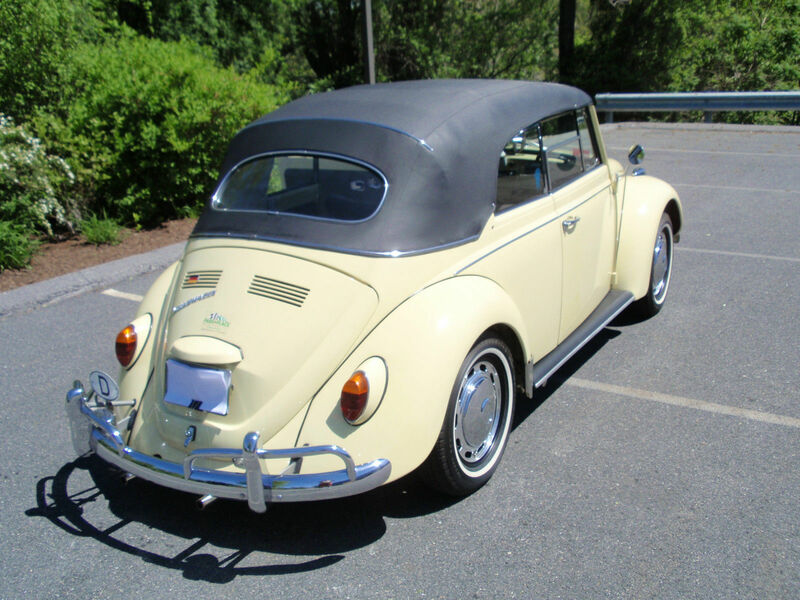 Another reason I should start restoring just ’67 Beetles, but do them 100% perfect.. Hmmmmm. Very nice! However, eBrake and shifter are after market! 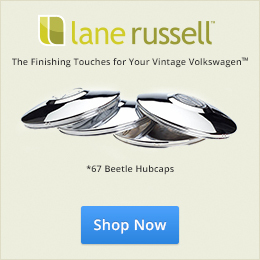 I am a big fan of 1967beetle.com and thanks for those interesting articles. I also have a 67 vert here in Europe. Mine is Ruby Red from november 66 and already has the cable holding the top. 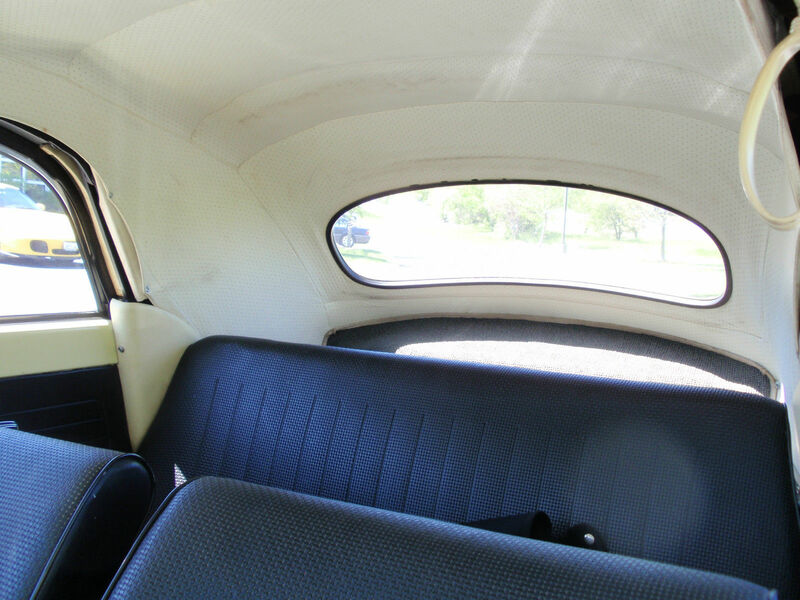 I didn’t know that 67 verts with cable for the top still had a chrome trim on the top above the rear window. Is that an add-on ? Wally2’s VIN is too high for this trim piece according to WW. Thank you for the support! I believe the chrome trim is stock. Why is there not supposed to be a fuel filter on the 67?